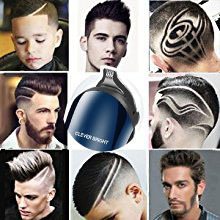 Travel friendly & Good gift Lightweight for convenient storage, the USB rechargeable let you bring the hair chippers anywhere with no worry about the plug spec idea for travel，compact & exquisite appearance suitable for make gift. 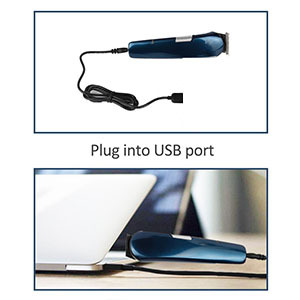 Rechargeable & Washable Blade: USB rechargebale hair removal shaver makes charging easier no matter wherever you are, all trimmer blades are washable. Portable groomer kit and ideal gift choice. 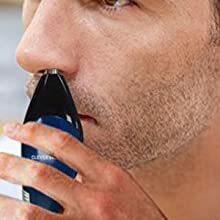 Remove unwanted nose and ear hair easily and comfortably. 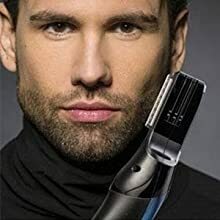 Beauty precision shaver head for shaping cool and fancy hairstyle, to let you have a changeable hairstyle, safe to shaving and shaping all of body parts. 1.5 Hour Charge Time, 90 Min Cordless Power. Charging indicator function,red light show charging status. 1.Charge the appliance fully before you start using it for the first time or after a long period of disuse. 2.It will take approx 8 hours to fully charge the battery. 3.A fully charged appliance has a cordless operating time of up to 40 minutes. When you charge the appliance for 3 hours, you can use it for 15 minutes. 4.The appliance does not run from the mains. 5.Make sure the appliance is switched off during. 1.Do not use water or a moist cloth to clean the handle. Never use compressed air, scouring pads, abrasive cleaning agents to clean the appliance. 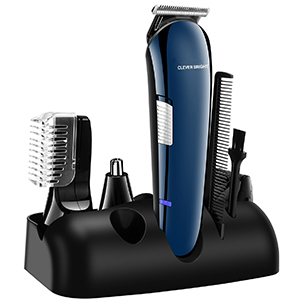 2.Micro shaver, Cutting element, Nose/ear hair trimmer. 3.Precision trimmer and Lettering head use some lubricating oil, the result is better. 1.Make sure the appliance is switched off and disconnected from the socket. 3. 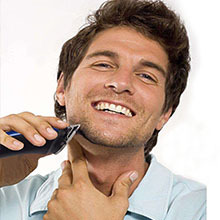 If you have used the micro shaver, separate its top part from its body. 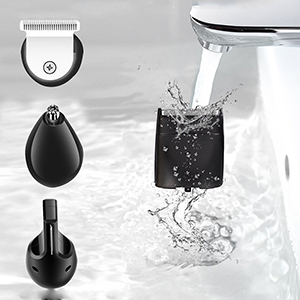 Please Note:There haven't adapter and Oil bottle in our shaver kit.